Visibility 9-11 welcomes for the first time a tireless campaigner for peace, justice and liberty for the American People, hero and patriot Bob Bowman. In my opinion and from what Bob has achieved on shoe string budget over the last six years, it is fair to say he would have in all likelihood become the current President of the USA in a different and truthful world. That is a world where we had a free and honest press in the US and had the truth of the 9/11 attacks exposed to all. Bob is the man that best represents the phrase speaking truth to power and was the man that brought that term to the 9/11 Truth Movement through speeches throughout America and the world! In this interview Bob talks about issues and ideas never before raised with him on air. This interview is a must listen! 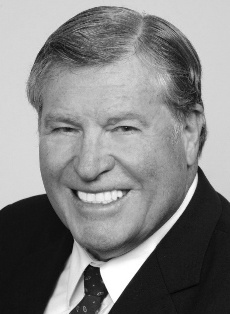 Dr Robert M. Bowman is a former Director of Advanced Space Programs Development for the U.S. Air Force in the Ford and Carter administrations, and a former United States Air Force Lieutenant Colonel with 101 combat missions in Vietnam. He holds a PhD in Aeronautics and Nuclear Engineering from Cal Tech. He has been a long time peace activist (30+ years) and was directly involved in preventing nuclear war by exposing the crazies in the White House and in the Military Industrial Complex for the idiocy they represent. Bob has found himself fighting those same people today as part of the 9/11 Truth Movement. In this interview we cover a lot of new ground and new approaches to 9/11 Truth. Bob talks to us about infiltrating the halls of power with our message within the existing two party structure and the ways we can achieve our goals. He also gives a look into past meetings and attempts to encourage the Peace Movement to realize the power of questioning 9/11. As has been a theme since I stepped in for Michael as the show host, I ask Bob about some controversial issues that plague the 9/11 Truth Movement. Including the recent unsupported accusations blaming Israel as the mastermind of the 9/11 Attacks. Bowman has a strong view that US policy towards Israel needs to change and is acutely aware of the situation as a half Jewish man who wants peace in the Middle East. Bob is calling for support of his massive Westcoast Tour this summer so please get involved and support this outstanding man on a mission to educate, stimulate and encourage the people to speak truth to power! Some of the insights that a man of Bowman’s caliber can give us are simply so motivating and stimulating it can’t be overstated. We wish Bob all the best and we hope the American People get behind a man of such great wisdom and light in a dark, dark world! To listen to this program, click Play in the embedded player below. Click download if you would like to download the file for your media player or iPod.